Choosing carefully when you are selecting a dog health insurance policy is very important because with Vet bills, if your pet becomes ill or develops a medical condition that needs long-term treatment, the costs can really stack up and in some cases become crippling or totally unaffordable. This is a terrible dilemma for pet owners everywhere and having the right medical insurance policy for your dog can save a lot of heartache. 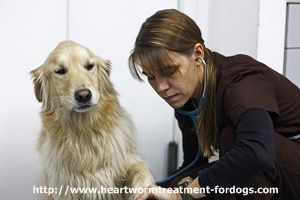 This site is mainly devoted to heartworm treatment for dogs and this is just one instance where the veterinary treatment bills can be hard to fund if you do not have insurance for your dog. Unfortunately though, health insurance for your dog, just like any other type of insurance can have perils and pitfalls of its own and if you are not careful in selecting the right policy at the outset, you may find that what you thought was covered is not – and you may have been paying too much every month for a policy that does not cover the needs of either you, or your pet. I definitely am not an expert, but I am a dog owner myself and I have put together this list of tips that I have unearthed from my own research online into pet insurance and I hope that it will help you in selecting the right health care provision policy for your dog. Please be cautious when looking for insurance and please note that my list is not exhaustive, there may be errors or omissions but at least it will provide you with a good starting point. If you have any tips, please leave them for other readers in the comments section below. 1. Like health insurance for people, a insurance policies for dogs may have what is known as ‘exclusions’. This means, a list of things that will not be covered. This could be a condition that your dog had before you took out the policy, a condition for which the breed of your dog is genetically pre-disposed (in other words, a condition that is known to be a medical health problem for certain breeds of dogs). Some policies only cover acute illnesses or accident and do not cover long-term or chronic conditions. So, before you even start thinking about selecting medical insurance for your pet, make sure you have all the facts at your fingertips. Breed of your dog (if pedigree), previous illnesses or accidents and any ongoing health problems. Make sure you also have the age of your dog if possible as some insurers will not issue a policy for dogs over nine years of age. 2. You will also find another thing that pet insurance policies have in common with human health insurance – deductibles! A deductable is the sum of money detailed in the policy like a sort of ‘excess’ on car insurance – it means that if you make a claim, the first $x (whatever figure is specified in the policy), will have to be covered by you – and this amount has to be paid EVERY time you make a claim. So, what you need to do when choosing an insurance company is to look for one that does not have high deductibles – otherwise, for routine treatments, there will be no point in having cover at all, as you will just be paying the full cost yourself because often, the cost of these routine exams, will be less than the deductable or excess charge from the insurer. 3. Be sure of exactly what you want from a pet insurance policy. If you want it to cover routine checkups, vaccinations and dental care, neutering or spaying and preventative treatments from your vet – even complementary health care from holistic vets or other animal health care providers. Or just provide cover in case of accident or injury. 4. Once you have established the foregoing, you are in a position to check out the leading insurance providers to find out what they will offer you in terms of cover. Get in touch with several, either by phone or by filling out a form on their websites. Make sure you are absolutely meticulous in detailing any pre-existing condition or illness, the age of your dog and the breed. You might get a cheaper quote if you leave something out – but when you come to claim, you may well find that you have paid out premiums for nothing as your insurer will not cover you when something you failed to mention when you took out the policy comes to light. 5. Once each insurer has all your details, you will get back a quote. You will be able to collect together all the quotes you have asked for and go through these to compare what each company is offering and which offers you the best deal in your circumstances. Make sure you read through all the ‘small print’ most insurers nowadays are very good at explaining everything in plain English but you need to check it through really carefully – if there is something you are unsure of, ask! It is far better to ask a question now, than find out when you need to claim, that there is a problem! There are so many companies to choose from, you are sure to find the right one for your dog and your specific requirements. Just as with human health insurance, it is generally true that the more expensive the monthly premium is, the fewer things that are excluded from what the policy covers. At the time of writing, the average monthly premium would be up to about $40 and many insurers either have no limit to the amount that can be claimed or the figure is very high – around $20,000. Another thing worth considering is that if you have more than one dog, you may get a discount by ensuring all your pets with the same insurer. 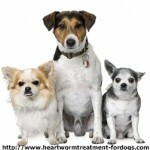 Health insurance for your dog is worth spending some time and effort on to find exactly the right policy that is affordable and will cover what you need it to – without proper cover, it would be heartbreaking to get to a point where you could no longer afford your dog’s medical bills or treat him if he tests possible for heartworm (as an example). You could even be in the position where an expensive, but life-saving operation in the event of an accident was totally beyond your means – so it is worth checking and double-checking, to get it right! Thanks for your thoughts, Just out of curiousity, I was wondering about health insurance for a dog. I have heard about it and wondered what exactly it covered, such as basic vet visits, or if it was more for accidents that may occur with your pet. Do you think it is worth it? I have three Whippets myself and really enjoyed your post.